Inside: If God promises us a future and a hope, why don’t we see the good in our lives right now? God has a plan, and it is good! 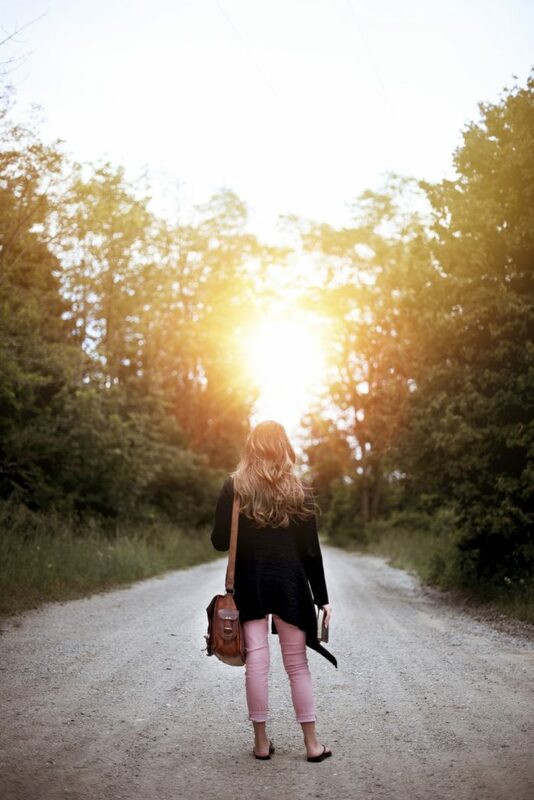 3 ways to live like you have a future and a hope, because you do! I woke up unexpectedly early, light raindrops falling softly outside. It was clear I wouldn’t be able to get back to sleep, and I remembered the royal wedding was about to start. I turned on my TV and watched in wonder at the complexities, contrasts, and beauty of it all: a pastor with a stirring message, music from a variety of traditions, the look in the bride’s and groom’s eyes! It was the stuff fairy tales are made of! Then it was over, and my thoughts turned quickly to the difficulties the week had brought: the conflict, the struggle, and all that goes with a cantankerous middle schooler finding (fighting?) her way. It wasn’t a terrible turn in my head–things are not really all that bad–but do you know that feeling when you first awaken and all is well with the world, and then reality hits and you can’t turn off the grief or confusion that currently pervades your life? How do we rectify this oft-used verse from Jeremiah with all of that? I am very big on not pulling Bible verses out of context. What does this verse mean for someone going through the worst of pain or abuse? How could we ever share or pray this verse for a person living out life in prison? If those examples seem too extreme, try this: Does God really intend for us to apply this verse to our everyday lives? I believe he does, and I have discovered three ways we can live like we have a future and a hope, which is what God intends! No sooner had the Israelites been carried off into exile in Babylon than God prompted Jeremiah to send them a letter to encourage and instruct them! This is what we read in the 29th chapter of Jeremiah: a letter sent to people held captive, not living where or how they wanted. Can you relate to any part of that? Surprisingly, God didn’t first chastise them, and he also didn’t immediately rescue them. Instead, he encouraged them to put down roots and live fully despite their circumstances! What part of that do you want to apply to your life today? The NIV translates “welfare” here as “peace and prosperity.” Does it sound unspiritual to say this? When the people around us live in peace and prosperity, so will we, and wouldn’t we want that? You know, in this passage–in this letter from Jeremiah to the exiles–God was reminding the Israelites that they were his people, and he was still taking care of them. Part of that care was for them to be safe and to prosper in this new land. How are we to live in peace if people in our lives are in turmoil? Will you commit with me today to pray for the hardest people in your life to pray for? Finally, God calls us to trust his plan for the long-term despite what things look like today. For the people of Israel, the wait for freedom would last 70 long years. They would see kings rise and fall; they would live through persecution and trial. Remember Daniel in the Lion’s Den and the account of The Fiery Furnace? Those events and countless other trials challenged the Israelites during their time in Babylon. Yet God encouraged them to hold onto him, to trust in him, and when the time was right, their trial would end. God had a future and a hope planned for the Israelites, and he does for us, too! Remember Joseph’s warm words to his brothers? We are sometimes ready to fear that God’s designs are all against us; but as to his own people, even that which seems evil, is for good. He will give them, not the expectations of their fears, or the expectations of their fancies, but the expectations of their faith; the end he has promised, which will be the best for them. You might be thinking of another favorite verse at this very time! So as you face today, with its trials and stressors, trust God for the long term. He has a plan. It is good! And in it you have a future and a hope! 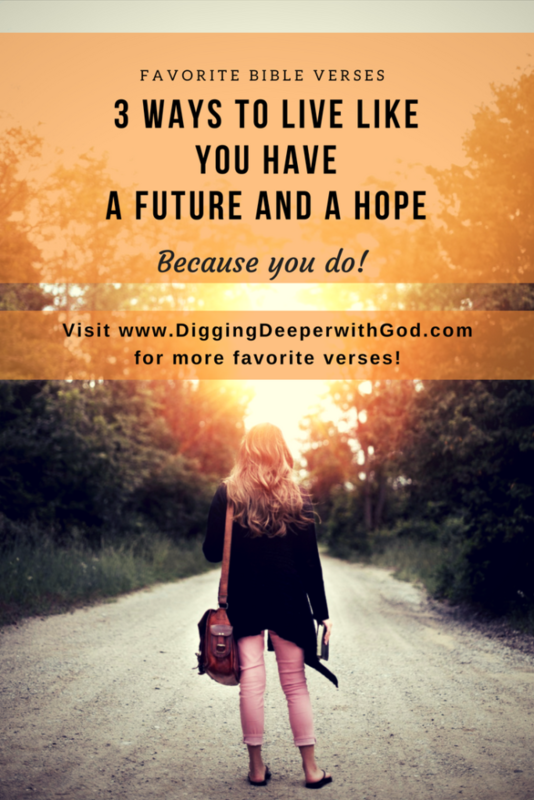 Digging Deeper: Live Like You Have a Future and a Hope! 1. Read Jeremiah 29:1-14 in your own Bible or in a Bible app. The link will take you to Jeremiah 29 at BibleGateway. Circle or highlight all of the action words God asks the Israelites to do (plant, pray, etc.). Which action do you feel God prompting you to do? Journal or talk with God about this, asking him to guide you in this. If you love artistic journaling, this could be a great aspect to focus on! 2. For whom is God nudging you to pray peace and welfare? Spend considerable time in prayer for this person or these people, not just today but throughout the coming week. Ask God to show you how to pray for peace, prosperity, and welfare for them. 3. Notice God’s wonderful promise to hear our prayers and to be found by us in verses 12 and 13, and the plans God revealed to the Israelites in verse 14. Ask God to help you pray today for all of your needs and hopes, and see if he might reveal a glimpse of his long-term plan for you. Remember, part of his plan is for you to live fully right where you are! Thank him for all that he has given you, even if the gratitude comes hard. When we lift our worship to God, we gain trust in his strength and in his plans for us! Enjoy one or two of these songs today or throughout the week. Inspiration for Your Home or Office! You can add reminders of Jeremiah 29:11 to your home or office. They also make great graduation gifts! 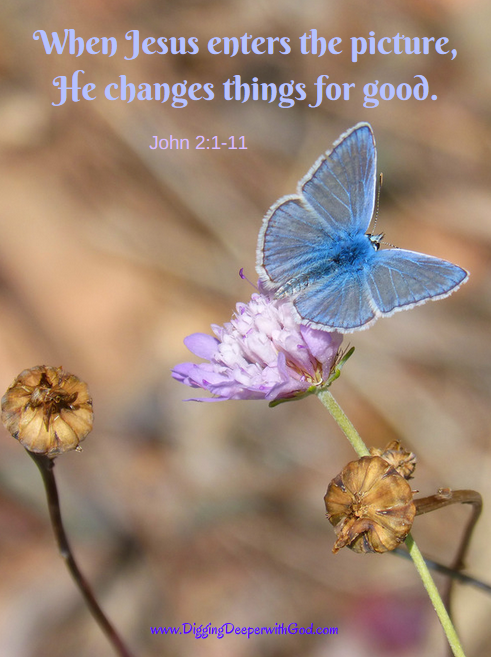 You can find articles on more favorite Bible verses at HERE! There, you will find devotions on Psalm 118:24, Lamentations 3:21-24, Luke 2:35, Philippians 4:13, and Romans 1:16. Enjoy these articles and more at the website! Your devotion is quite timely given some choices I need to make. I have recently been thinking about my relationship to Father. This devotion, particularly verses 12 – 14, and pastor’s message yesterday have to be Father talking to me. Question to ask myself, am I listening? Saturday I went with Maria to the thrift store that she loves to go to. It’s not my cup of tea but I’ve been trying to engage in activities that she enjoys. I stumble across one of Stormie Omartian’s books “Power of a Praying Husband”. I’ve never looked at one of her books because they gave me a negative vibe…. but I think it might have been judging a book by the author’s hairstyle or something. I read some good and convicting passages. Eric, thank you for reaching out and saying something. It takes a strong and humble man to confess the need to pray for his wife! It is really neat how God has been speaking to you in various ways and how you are responding. Yes, like Samuel! “Speak, for your servant is listening.” I will keep you and your wife in my prayers. Thank you for this wonderful devotion this morning. As things this morning were not really clear. Kids house going on the market and the reminder that this was once my home where I raised my family and all the emotions of this chapter coming to a close and the new beginnings or chapter they will be making. The conflicts of having time to spend with my elderly parents and the help that they need and all the ways my life is being pulled right now. This put the clarity that I need to let God be the director and not me! Thank you again! So many conflicting emotions for you right now! I can’t imagine watching a long-standing family home go on the market. Oh, God has a plan, God has a plan! Keep telling yourself this! 🙂 I will keep you, Gene, and your parents in my prayers. Thank you, Lori! I’m so late gardening this year. I am putting the last of my garden in this weekend.